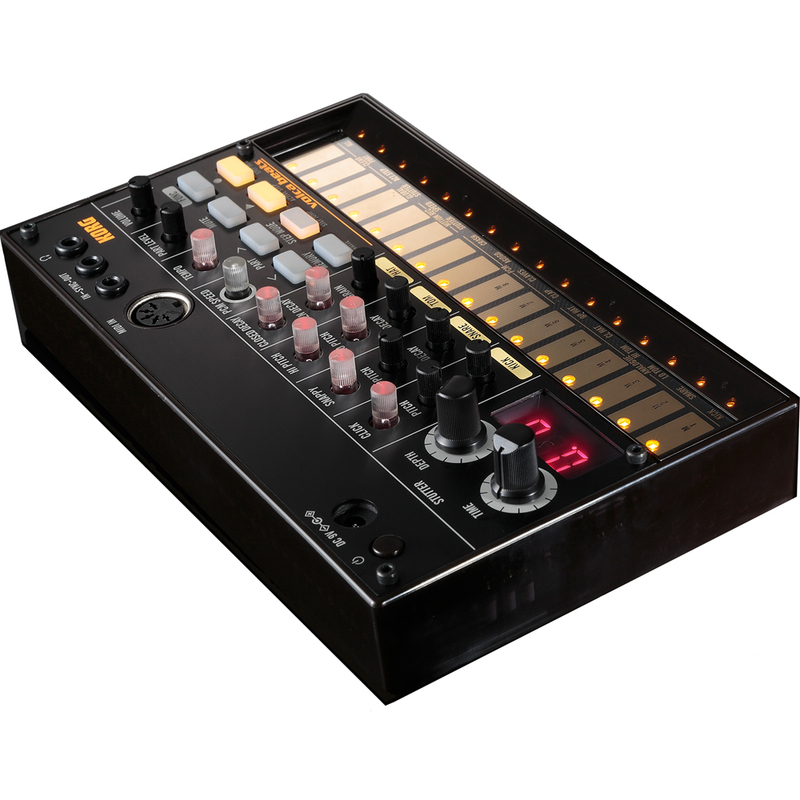 The Volca Beats is an analog rhythm machine that produces a diverse range of powerful, high-quality beats and drum sounds. 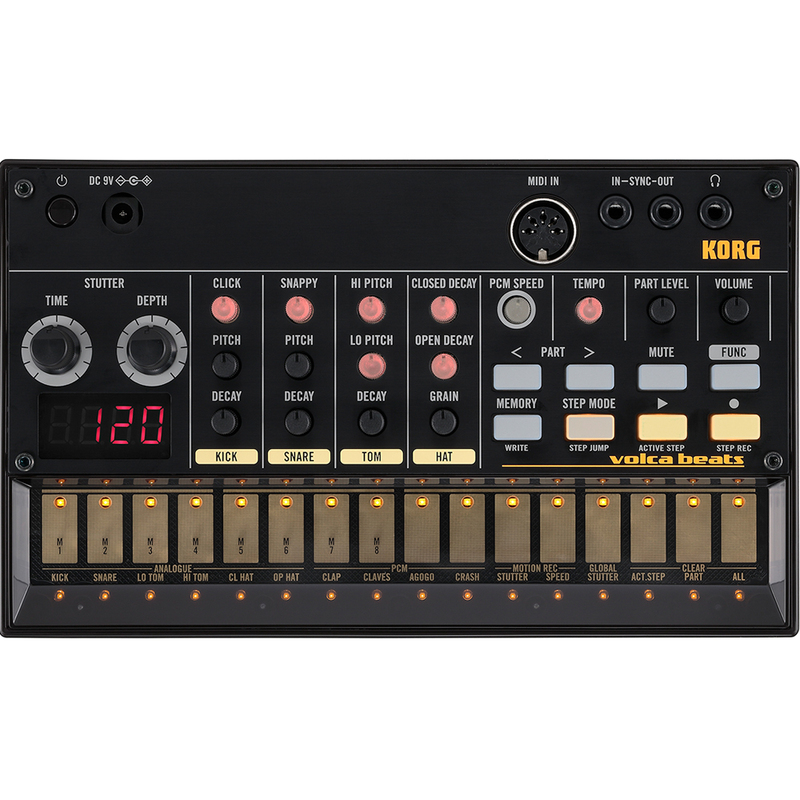 It is part of the Korg Volca Series, along with the Volca Keys lead synthesizer and the Volca Bass synthesizer. Equipped with sequencing/recording capabilities, it can be used with multiple Volcas via the sync in/out, and with your favourite DAW software or MIDI keyboard via MIDI In. Battery operation and built-in speakers mean that you can play anywhere, anytime. Whether used with the Volca Series or by itself, The Disc promises you that the Volca Beats will inject power into any performance or studio setup! 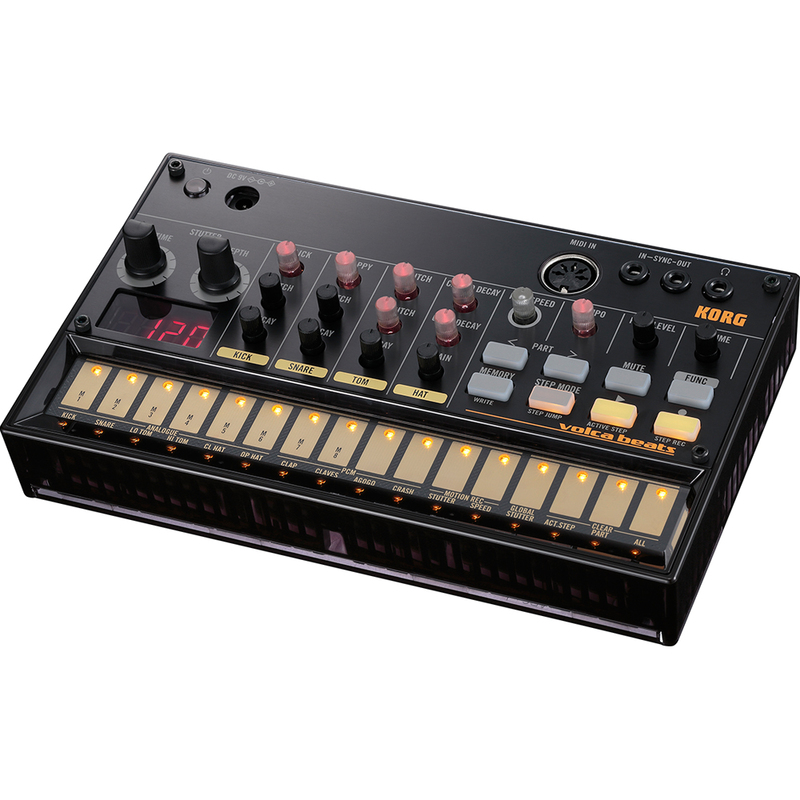 The volca beats provides Kick, Snare, Hi Tom, Lo Tom, Closed Hi Hat, and Open Hi Hat sounds, created with reference to classic rhythm machines so you’ll get convincing and powerful sounds. By using the Click, Pitch, and Decay knobs, you can quickly create an incredible variety of kick sounds, ranging from rough sounds that dominate the low range to tight sounds that keep a precise beat. The PCM sound engine is used to cover sounds for which an analog synth is unsuited, such as Clap, Claves, Agogo, and Crash, as well as the rough lo-fi sound of the '80s. These sounds are a good match with the analog drums, and you can also create even more distinctive sounds by changing the PCM Speed to dramatically raise or lower the pitch. The Electribe's step sequencer is designed to make editing easy and lets you add or remove parts in an improvisational way. Use the 16 step keys to enter notes while visually monitoring the timing of the notes within the measure. You can also play the touch panel keyboard to record in real time. Up to eight sequence patterns can be stored in internal memory. Stutter function generates repeated triggers that dramatically change the sequence. It can be used to transform the feel of the entire pattern, or as a fill when switching patterns. Drum rolls and delay-like effects are also included. Movements of the Stutter knob can also be recorded in a sequence. The Active Step function lets you skip a step during sequence playback; the Step Jump function instantly plays only the step you're pressing. It can create effects similar to a short loop or unexpectedly irregular rhythms, allowing dynamic performances just as though you were performing the sequence itself.